Collection of images by Brad Pease. 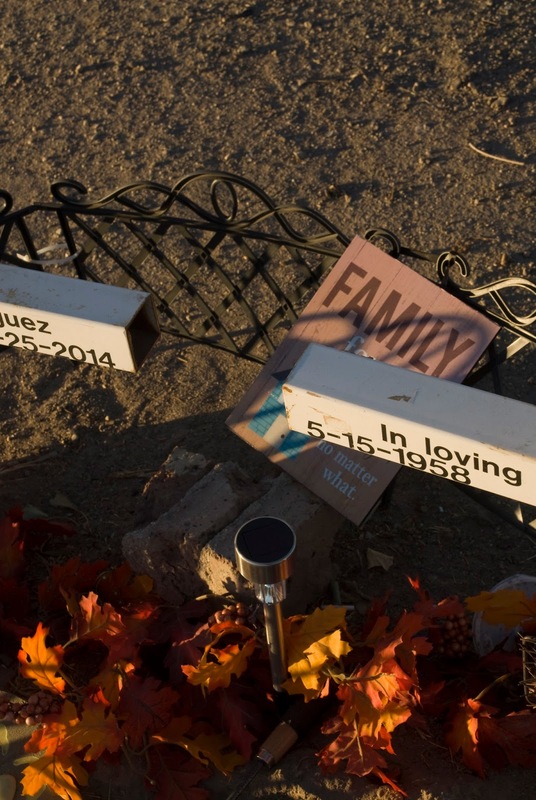 Roadside Memorials, also called Descansos. This earlier photo (left) was taken in May, 2014. This Descanso has been updated with a more permanent crosses. Taken on November 11, 2015, these new photos show the updated Descansos for Sylvia and Robert. Items and plaques help mark this space at a very busy intersection, with a backdrop of a convenience store.